Chris Carosa graduated from Yale University with a degree in Physics and Astronomy. By day he is a mild mannered investment adviser. By night, he usually sleeps. Unless there’s a full moon. What was the impetus behind AstronomyTop100.com? Chris Carosa: The year 2009 represents the 400th anniversary of the Galileo telescope. 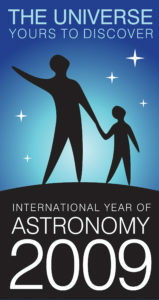 The United Nations, in part to celebrate this event, declared 2009 to be the International Year of Astronomy (IYA). 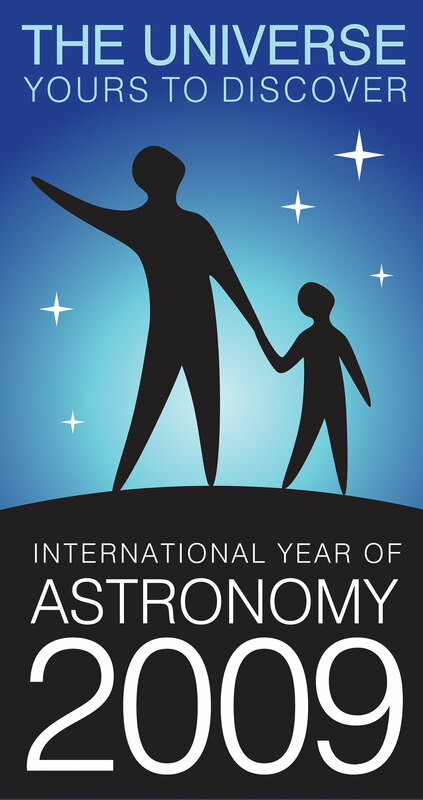 As part of its IYA2009 initiative, the United Nations encouraged regular people like you and me to create outreach projects to promote astronomy in our communities. Being the totally ridiculously audacious thinker I am, I decided to define my community as not merely the local elementary and middle schools (where I regularly offer a guest appearance in attempt to dazzle students with the wonders of astronomy and space exploration). No, I decided to target a larger community. 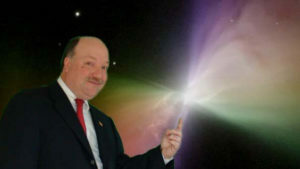 I began with the hope of making AstronomyTop100.com a national outreach project. We ended the project with the knowledge that at least five out of the seven continents – as well as Oceania – have participated. Not a bad community for a guy operating with a laptop from a suburban home in a mostly rural community. When did you first have the idea for AstronomyTop100.com? Chris Carosa: I pondered the UN’s IYA2009 initiative as I drove to New Haven in the Spring of 2008 for the Annual Meeting of the Yale Science and Engineering Society. I wasn’t getting any younger and I’ve always wanted to promote astronomy. So I found my now retired senior faculty adviser – Pierre DeMarque – and spoke to him about a kernel of an idea. To be fair, there would have been no AstronomyTop100.com had not Steve Fentress, Director of the Strasenburgh Planetarium, shared his brainstorming thought at a task force meeting a few days before my six hour tour along Interstates 90 & 91. He mused of a potential theme to celebrate the Rochester Museum and Science Center’s planetarium’s 40th anniversary. He called it “Wavelengths” and it was meant to celebrate the images of astronomy. Those familiar with Rochester, being the home of such corporate giants as Kodak, Xerox and Bausch & Lomb, often goes by the moniker “the image capital of the world.” When I walked into my professor’s office, Steve’s idea, along with the controversy of The Weather Channel’s Top 100 weather events, brewed fresh in my mind. Professor DeMarque and I sat talking for 90 minutes. I liked the idea the project would coincide with the IYA 2009 as well as the 40th Anniversary of the Apollo 11 landing. I left the J.W. Gibbs Building – if that’s still what they call it – with the basic framework of AstronomyTop100.com at least fixed in my head if not yet able to verbally articulate it. My biggest problem: While I possessed the experience to easily design the requisite ranking surveys, the cost of administering those questionnaires limited the concept only to the realm of the grant-seeking. So this astro-based scheme sat simmering in my cerebrum. Who helped you overcome this initial mental block? Chris Carosa: Fast forward to January of this 2009. I wanted to learn more about this phenomenon called “Web 2.0” – a.k.a. the social media explosion. I really wanted to find ways to invest in the trend, so I sought a means to both learn and discover. Bing-O! Bang-O! I discovered my delivery mechanism for AstronomyTop100.com. With the prodding of Yale classmate Artie Isaac, I launched a LinkedIn page. But the true breakthrough came when Deb Williams – someone I met during my Cub Scout Leader training – took the time to sit down with me and teach me Twitter. I could – at no cost – connect with amateur and professional astronomers, thereby reducing the likelihood of what might now be called “The Stephen Colberg” problem. I wanted only serious students of space participating in at least the initial rounds of AstronomyTop100.com. (For those who don’t remember, at that time NASA had just completed a similar citizen-participation voting contest to name its new module. Comedian Stephen Colberg decided to have fun and convinced an enormous amount of people to vote to have the module named after him. To the great embarrassment of NASA, Colberg won.) Between Twitter and LinkedIn, the idea spread virally and I was off to the races (or, more appropriately, “of to the moon”). Incidentally, I tried using Facebook, but I found it a less effective vehicle. How did AstronomyTop100.com actually come about? Chris Carosa: Now that I had a delivery mechanism, now I needed a quick way to convince people to participate. Make that, the “right” people. I came up with this pitch: “Imagine what you’d get if you combined Carl Sagan’s Cosmos with Fox’s American Idol. That’s AstronomyTop100.com!” The tag-line worked like a charm. The reference to Cosmos titillated the target market and apparently scared off the Stephen Colberg audience. Framing it in terms of the popular audience vote reality show American Idol immediately told everyone what we planned to accomplish. It also hinted the process just might prove fun and entertaining. We launched on February 15th, 2009 (Galileo’s birthday) be asking all sorts of professional and amateur astronomers for nominations in eight different categories – Ancients, Discoveries, Engineering, Events, People, Popular Culture, Sights and Theories. We started with more than 100 nominations. Then, beginning in April, we started the first of three voting rounds. In the Preliminary Round, we sought to rank order the candidates within their respective categories. Each week we held a vote in a different category. For the Quarter-Final Round, we pared the candidate list down to 40 quarterfinalists – the top 5 from the 8 different categories. Voters where ask to rank order this list of 40 (in several different ways, a survey trick that came courtesy of Ken Tomaszewski – another Cub Scout contact – of KJT Group in Mendon, NY. In the Semi-Final Round we further reduced the number to 20 semifinalists which gave us 10 finalists for the final round. For the last month, people across the world – teachers, students, scientists, engineers, whoever had an interest in astronomy – ranked these finalists. Where did you ultimately unveil AstronomyTop100.com’s Top Ten? Chris Carosa: So we now knew the top 100 greatest images and imaginations in astronomy and space exploration. From the beginning, I wanted to make a Hollywood-like spectacle of the final Top Ten Countdown. Once again, I turned to my good friends at the Astronomy Section of the Rochester Academy of Science (ASRAS), the Rochester Museum and Science Center (RMSC) and the Rochester Institute of Technology (RIT) and they came through like the real troopers they are. ASRAS holds its annual party in December at the RMSC’s Strasenburgh Planetarium and thus provided a live audience at an excellent venue for the show. Kate Bennett, President of the RMSC and an original supporter of AstronomyTop100.com, graciously agreed to let us use the Planetarium. But, in keeping with the spirit of our pan dimensional universe, I was excited to hear we had another physical location lined up with a live audience – the entire world!. Dr. Ian Gatley, Director of the Center for Student Innovation and Undergraduate Research Support also backed this project from the very beginning. If it weren’t for Ian and the kind folks at RIT, who provided the technical expertise for the broadcast, we’d have had no world audience. They figured out (don’t ask me, but they insisted it was easy) how to produce a simulcast of the show live on some internet TV channel. In fact, that’s how my wife and family watched it. Well, not my son. He came with me and saw it live. Well as live as you can see things through the screen of a video camera. The show went off well, with only minor snoring (why they insist on turning down the lights in a room full of comfortable chairs is beyond me). Perhaps it’ll be produced in a more viewable form on this very site sometime in the future.